Megadyne offers a variety of coverings in polyurethane, elastomer, foam, PVC and other unique solutions: choice of correct coating depends on application field and specific requirements. Some cover materials are applied during the production belt in a homogeneous structure; others are added later, using different methods (bonding, spraying or, vulcanize process). Different coatings, various properties: high or low friction value, acid and water resistant, elastic, soft or hard. 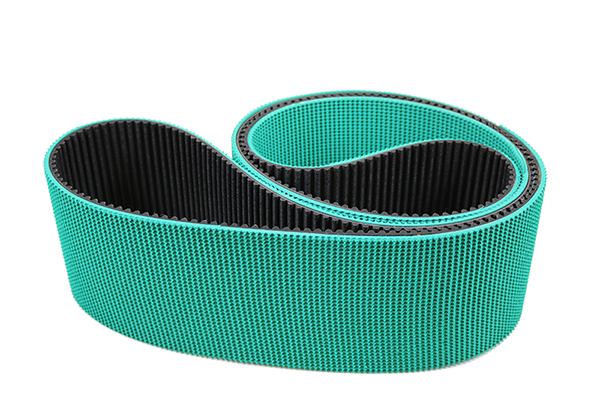 Due the different features, belts whit cover can be use in several applications of industries. Ask to our OEM team for find your solution. Are you interested in COVERS?